Smoked ham in Sauris has very ancient tradition. Nevertheless, there are few writings as a testimony to its history: in the last century, a fire destroyed the archive of the town of Sauris, (in the province of Udine), containing many documents. The ones who had saved from destruction confirm that in this small mountain village, a typical technique that joined the Nordic use of smoking the meat with the Latin method of preservation with salt, developed. The pigs selected for the production of this cold cut have nine months of age and must not have exceeded the fifteenth. The thighs used for the production are massaged and salted with the “concia” a mixture of sea salt and/or rock salt, pepper, and garlic. After the salting, there is the smoking operation, one of the most important phases for the production of Prosciutto di Sauris PGI to be carried out in rooms with a temperature between 15 and 20 °C and humidity between 50 and 90%. The smoke is produced by the combustion of beechwood in traditional chimney placed outside the smoking environment and conducted inward – through the floor – by specific channels. The smoking process has a maximum duration of 72 hours. Afterwards, the thighs rest and then move to the aging rooms, for at least 10 months. 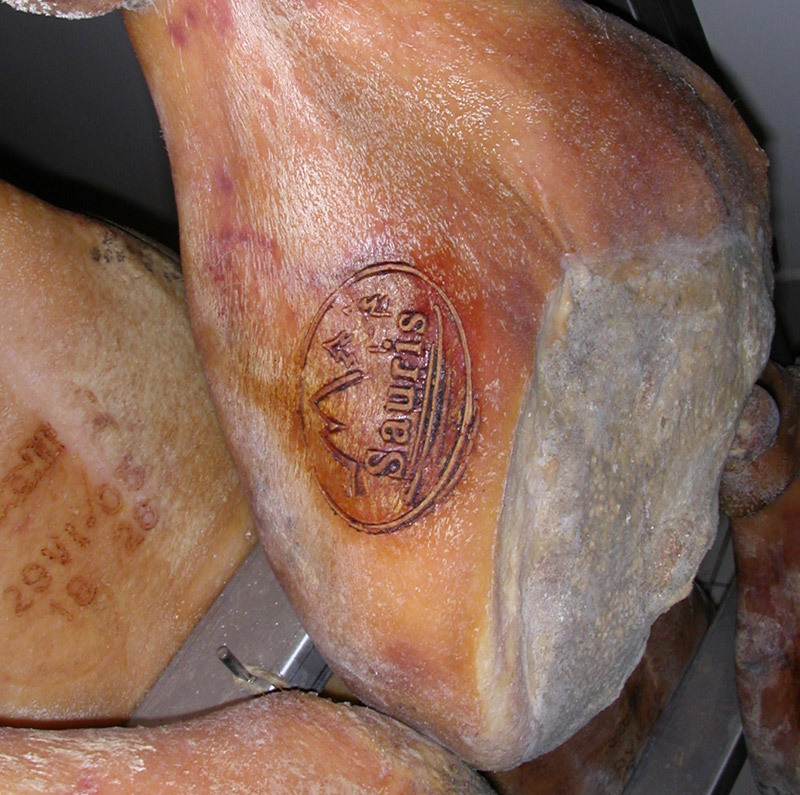 In this period the hams are subjected to “stuccatura”, washing and “sugnatura” operations. The Prosciutto di Sauris PGI is perfect with aromatized bread (with cumin or poppy). It has a distinctive taste, which is enhanced if matched with dried fruit or pepper cream. The color is pinkish-red uniform, with the white and pink fat parts. The scent is delicate, and the taste is sweet, with a good smoke note. Because of climate and the characteristics of the territory, the local agricultural products were lacking. 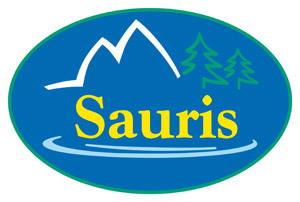 That allowed the families of Sauris to use pork both for food and for barter activities. Protected Geographical Indication (PGI) recognized under Reg.ne EU Reg.to CE n. 320 of 19.04.2010 GUCE L 98 of 20.04.2010.